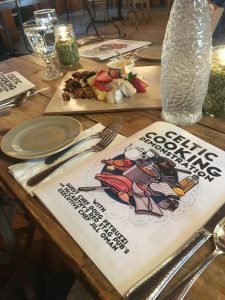 With authentic Irish and British Isles food made from scratch, we invite you to join us each month for our special Celtic Cooking and Baking classes. These classes are conducted by our in-house experts, Executive Chef, Jill Oman and Head Pastry Chef, Katie Michael. Let both of these talented women teach you the “ins and outs” to the art of Celtic Cooking as well as their own “special sauce” techniques and tricks. Learn the ins and outs of traditional Irish baking with the Red Stag Pub’s in-house bakers! 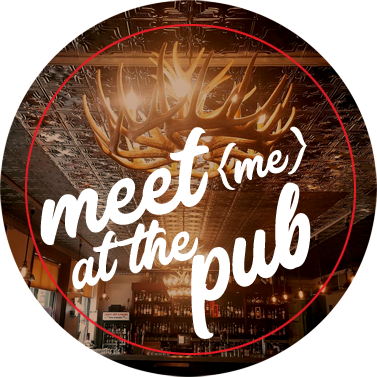 The Red Stag Pub presents Celtic Baking Classes in the Great Room of the pub, focused on four different Irish or Scottish baked treats. 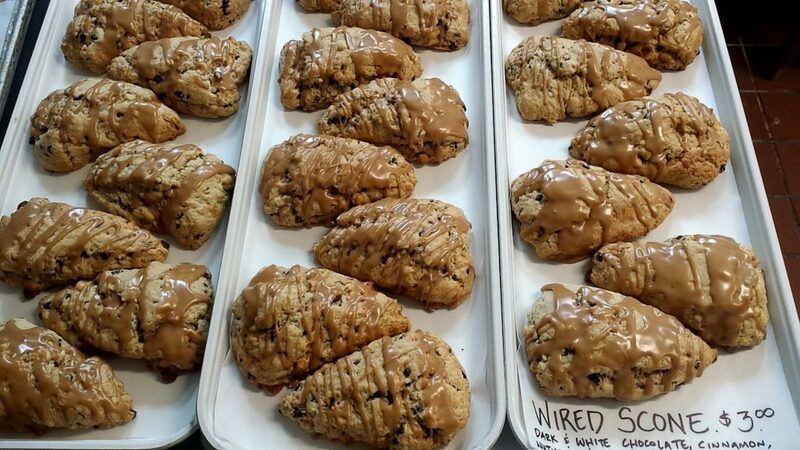 These fun, demonstration based classes led by Katie Michael, McCarthy’s Red Stag Pub Pastry Chef, will give you all the basics for making your own scones, shortbread, brown bread, and millionaire bars! Space is extremely limited for these classes, so make sure to sign up early. Feel free to take one or all of the classes — it’s your choice! Join us, and you’ll learn the history of each item, how to make it, and of course, sample and take home your luscious goodies. The cost for each class is $20.00. 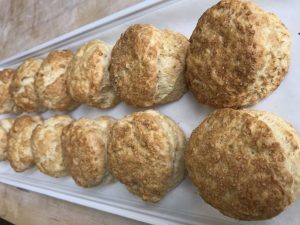 Scones are buttery and flaky with the texture of a biscuit, and typically topped with raw sugar or icing. The first known print reference to scones was in 1513 and they have been popular in England, Ireland, and Scotland ever since. 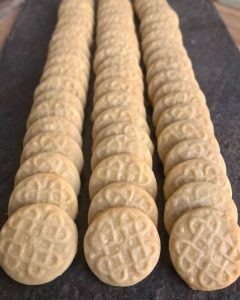 Shortbread originated in Scotland and due to its popularity made it throughout the United Kingdom. This recipe comes from Red Stag Pub owner, Neville Gardner’s family in Northern Ireland. Because his family was quite poor, they couldn’t afford to purchase many ingredients, which kept their recipes simple. What makes this cookie unique is the buttery and crumbly consistency. Brown bread is a traditional staple of Irish cuisine. The inspiration for the recipe is derived from our favorite place, Lifeforce Mill in Cavan, Ireland. Brown bread is whole meal soda bread made with organic flours sourced in the USA. Millionaire Bars are a shortbread biscuit base with creamy caramel, covered in dark and white chocolate. They gained the name Millionaire Bars because of their rich taste and texture. (Please note for this class Katie will make the caramel sauce, and instruction will be given on how to make it.) Millionaire Bars are a very popular item in Scotland. 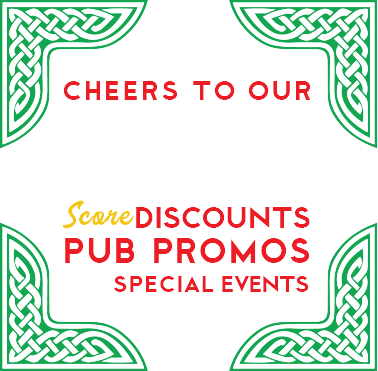 ..and a pub favorite! 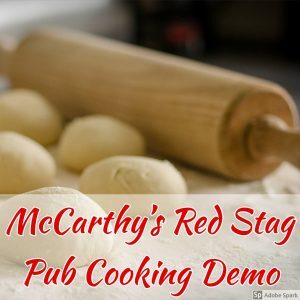 McCarthy’s Red Stag Pub invites you to join us for a Celtic Cooking Demonstration. 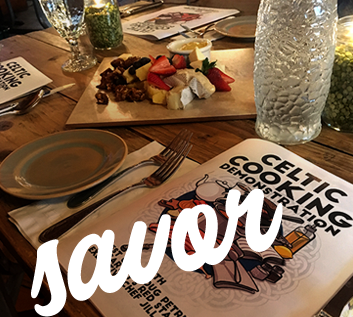 Our guests will have the rare opportunity to watch our chef, Jill Oman, entertain and demo the finer techniques of Celtic cuisine and enjoy a two-course meal with suggested drink pairings. The menu is unique for each class so keep an eye out for menu highlights plus current and new dates! 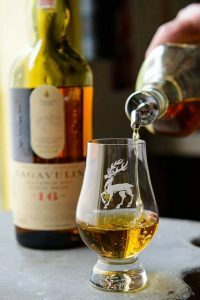 Join us each month for an evening of fun and education as we sample a different whiskey, guided by our knowledgeable whiskey representatives and our very own in-house Whiskey Expert, Janet Vitalos. 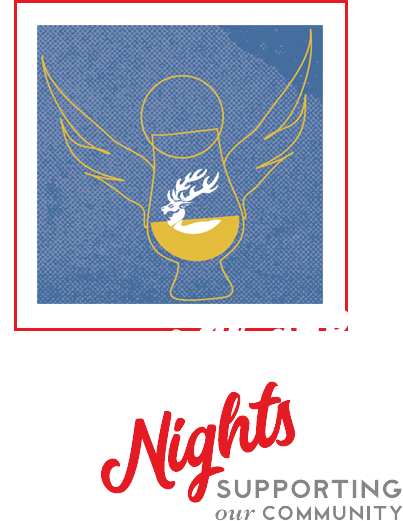 All Tastings begin at 7PM, and last for approximately one hour. Get ready to dine in style with Dublin Coddle and Irish cream fudge! 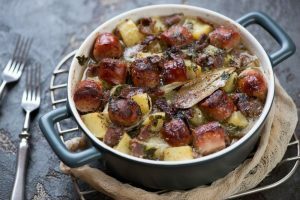 You will learn all about this dish comprised of Irish sausage, bacon, onion, and potato as well as how to make it at home. Cooking will begin at 6:30 pm sharp! Ticket price does not include tax, tip, or alcohol. Get ready to experience at hometown Chili just like mom used to make. Complete with homemade cornbread and maple butter served up with Strawberry pie for dessert. It doesn't get cozier than chili and pie, and just in time for your Fourth of July barbecues. Cooking will begin at 6:30 pm sharp! Ticket price does not include tax, tip, or alcohol.